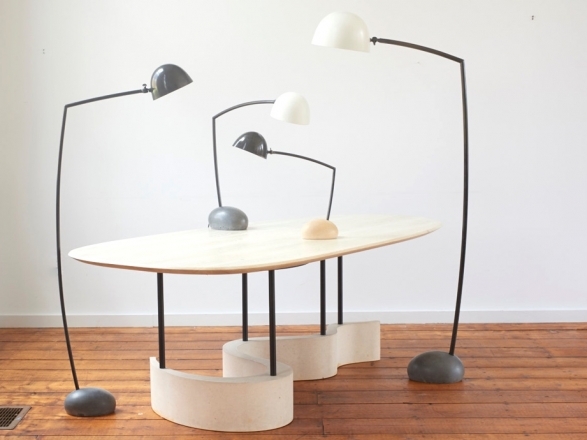 Floor and desk lamps with veneer shades and wooden bases. Three finishes available: White powdercoating, and bronze or silver colored gilding. Pendants with spun aluminum shades. Five shapes available. Custom drops available. 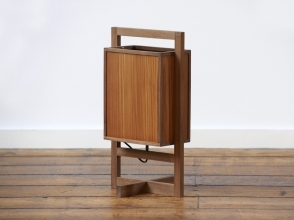 Walnut frame box lamp with larch veneer shade. Blackened metal frames. 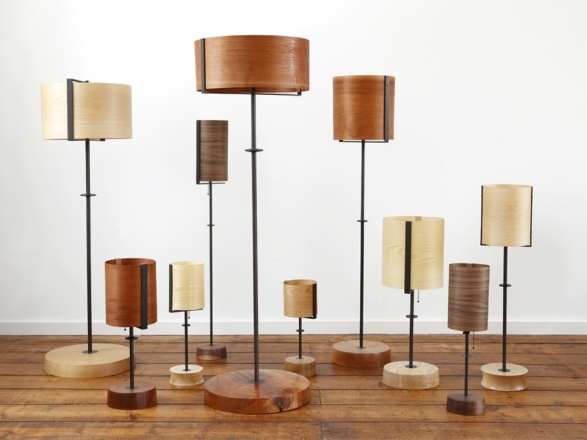 Variety of veneer shades available:walnut, cherry, ash, oak, mahogany, maple. 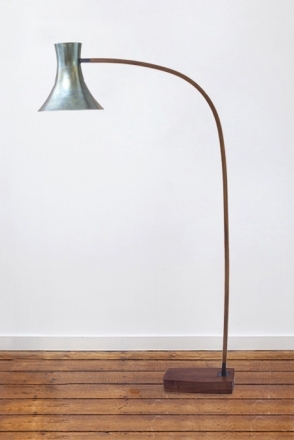 Table and floor lamps with cement bases and spun metal shades.Bases available in light, dark and acid wash cement. 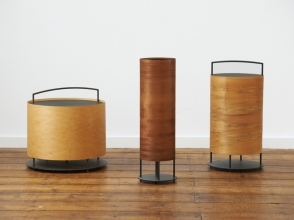 Shades available in blackened bronze and powder-coated aluminum finishes. 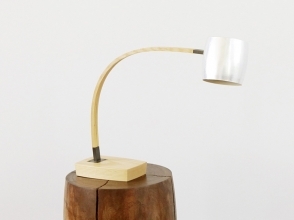 Desk lamp with small convex spun aluminum shade, wooden base and arm.